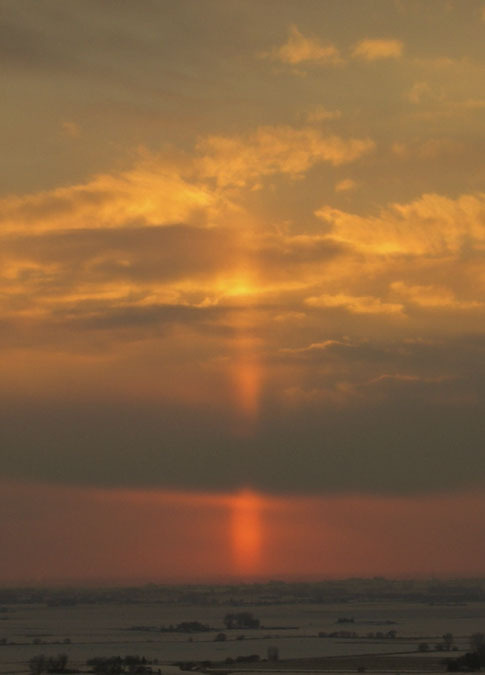 This is a telephoto (~126 mm) view of the solar pillar seen on January 7, 2007, taken with a handheld Nikon Coolpix 6. The exposure was 1/160 sec. at f/5.4.